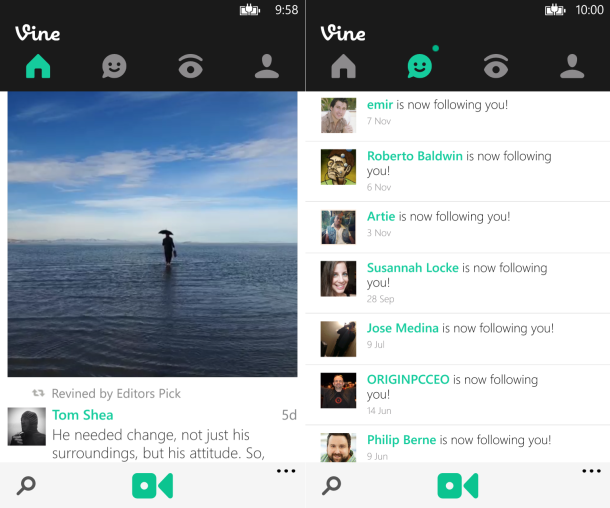 Vine is a free video sharing social app that you can install on your smartphone. The application allows you to post and share short six minute videos. With Vine you can post short six minute videos and share them on your favorite social networking site. The Vine app for iPhone, Android and Windows smartphones are easy to use and learn. The videos play in a loop once you post them in vine like animated gifs on the web.